We describe Breach, a Matlab/C++ toolbox providing a coherent set of simulation-based techniques aimed at the analysis of deterministic models of hybrid dynamical systems. The primary feature of Breach is to facilitate the computation and the property investigation of large sets of trajectories. 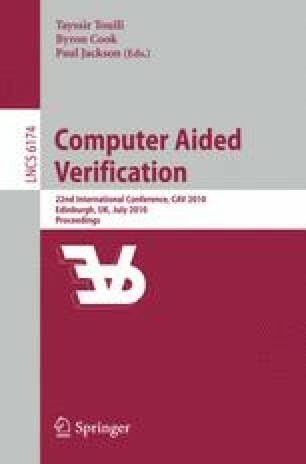 It relies on an efficient numerical solver of ordinary differential equations that can also provide information about sensitivity with respect to parameters variation. The latter is used to perform approximate reachability analysis and parameter synthesis. A major novel feature is the robust monitoring of metric interval temporal logic (MITL) formulas. The application domain of Breach ranges from embedded systems design to the analysis of complex non-linear models from systems biology.